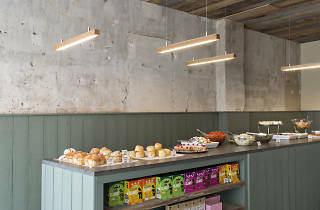 A minimalist-chic English canteen serving high-quality brunch, lunch and cakes. 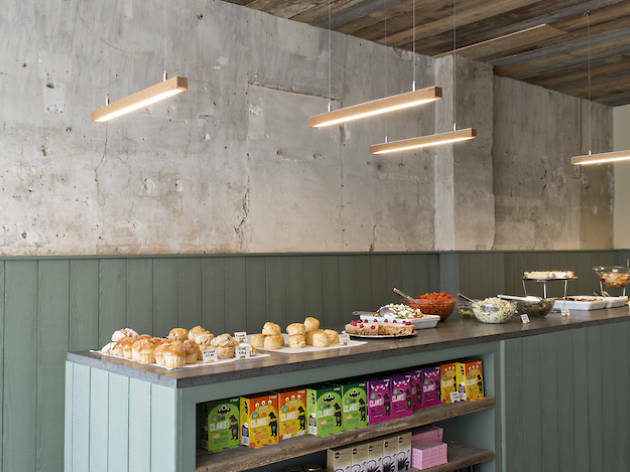 This English café run by a Franco-British couple stands out for the quality of its ingredients – all are organic or from small producers. The DIY salad plate is crunchily satisfying, but the thin-crusted pizzettes, daily soups and occasional risottos are equally good choices. Don't expect much beyond scones in the morning except at weekends, when brunch is served to a packed-out house (come armed with patience – it’s hectic). It may be on the pricey side but you’re paying for quality and atmosphere; the minimalist dining room is cosy and diners often stay well after they’ve finished their food. They also run a takeaway joint next door and farm shop/grocers on the nearby rue de Navarin, so you can stock up on the good stuff without the wait. 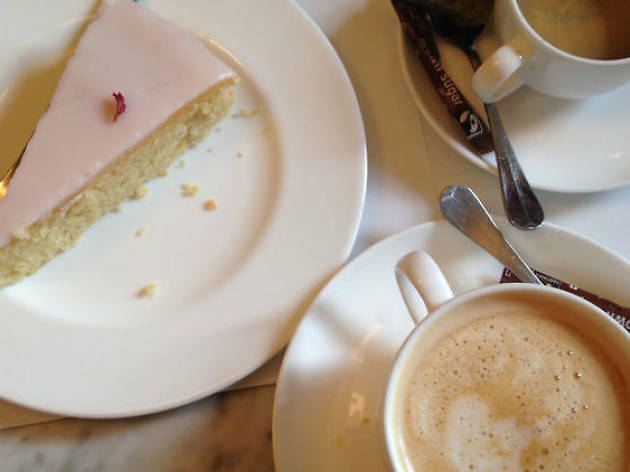 Come in the early to late afternoon to nab a selection of their too-good-to-be-true desserts like moist rose and lemon cake (€7.50), gluten free lemon polenta cake, sticky toffee pudding, plus daily changing flavours like beetroot or walnut (€6.50). Wash them down with the classic English breakfast or Earl Grey, or go off piste with Genmaicha green tea, Sencha Fukuyu or green Rooibos. The hot chocolate (€5.50) is wondrous – served in a tall wide mug, it’s unctuous, rich and perfectly sweetened. We love how hot drinks come with a bite-sized piece of yesterday’s specials; quite right too – it would be a crime to waste a single crumb of these beauties. 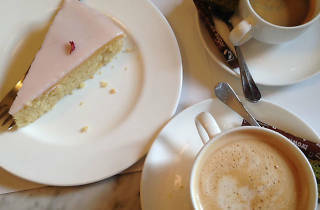 The café is far too expensive for what it is. I was there yesterday for lunch. I had a slice of quiche and my friend had scrambled egg and smoked salmon (this alone cost €17.50. We both had a fruit juice and a dessert. The bill came to 61€. The place isn't even a restaurant and the food isn't even that good. Had I not stuffed myself with bread I was have left the place still feeling hungry. Give it a wide birth. Besides this the staff is miserable and if you ever see the owner, he'll freeze you with his icy, miserable stare.